Just las night I was admiring a picture hanging in a restaurant that was painted on the glass in a frame and not canvas or paper. This fun DIY address sign from Lolly Jane is the same idea, but using vinyl. Since I have absolutely no talent with paint, I think the vinyl route is the way to go. Using an address would be a great housewarming gift, but you could use all sorts of different ideas for your own home. 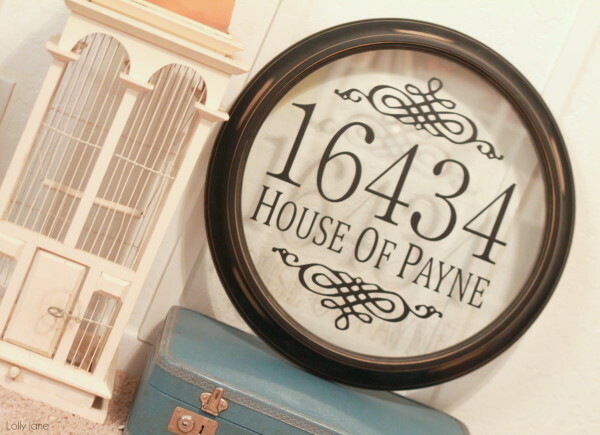 You can check out how to make this DIY glass address sign over at Lolly Jane.